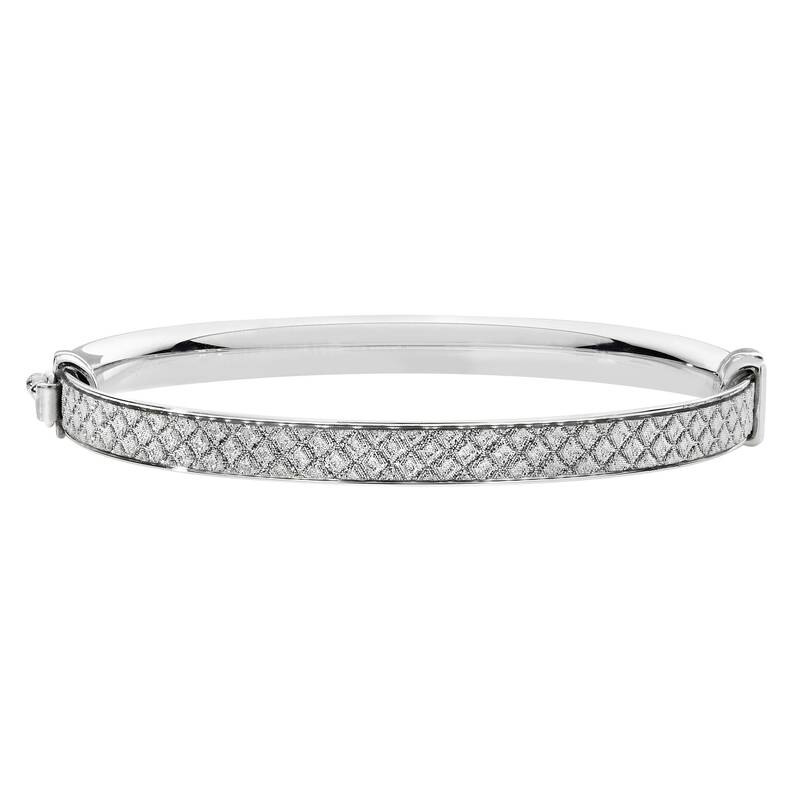 A very sparkly sterling silver baby bangle with centre stardust diamond pattern. 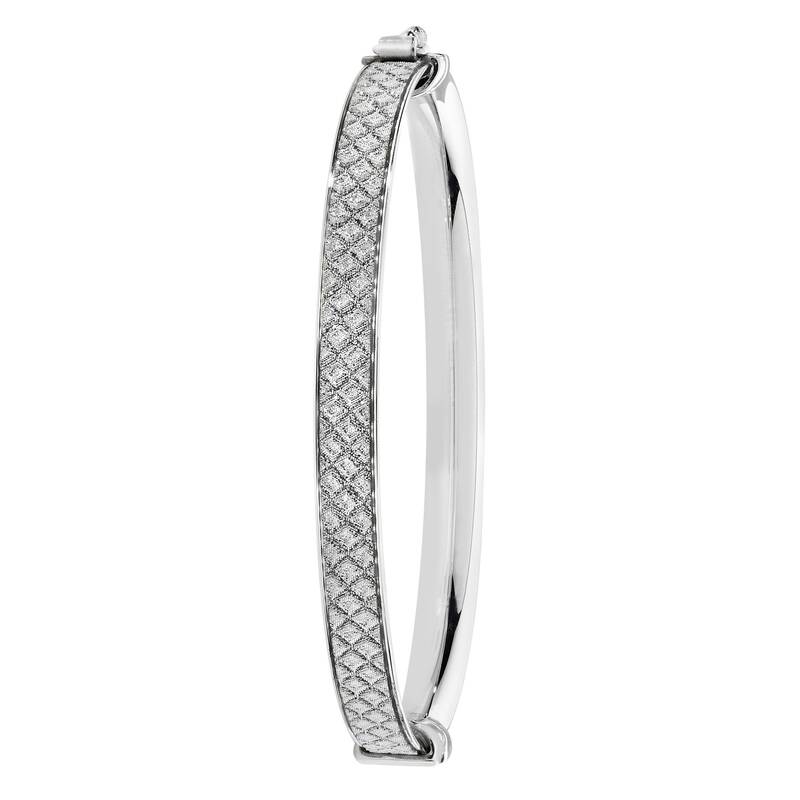 The bangle will fit a maximum 12.5cm circumference wrist. Hinged with safety clasp. Bangle size approx 4.5cm x 4cm. Width 4mm.